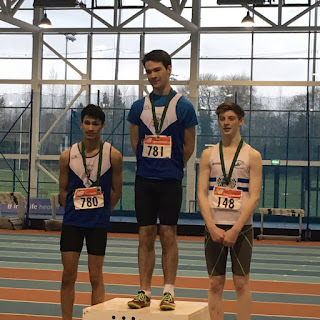 The medal haul from the Leinster juvenile indoor championships was a wonderful 7 gold, 4 silver and 2 bronze with many more great performances just missing out on making the podium. 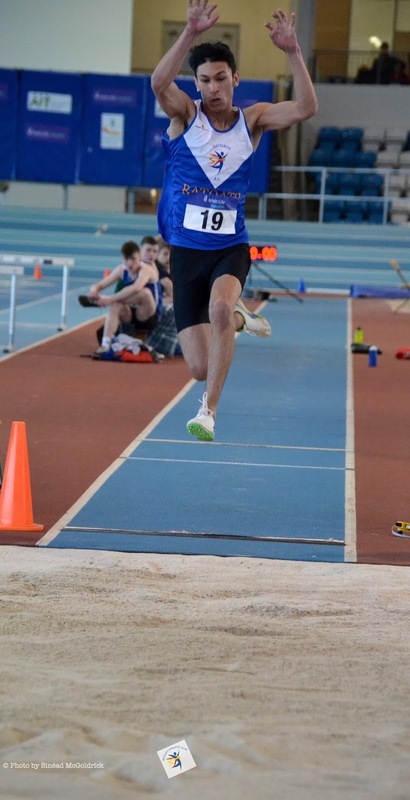 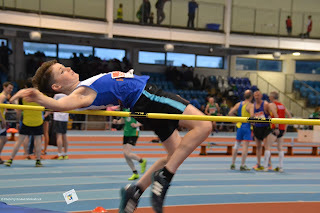 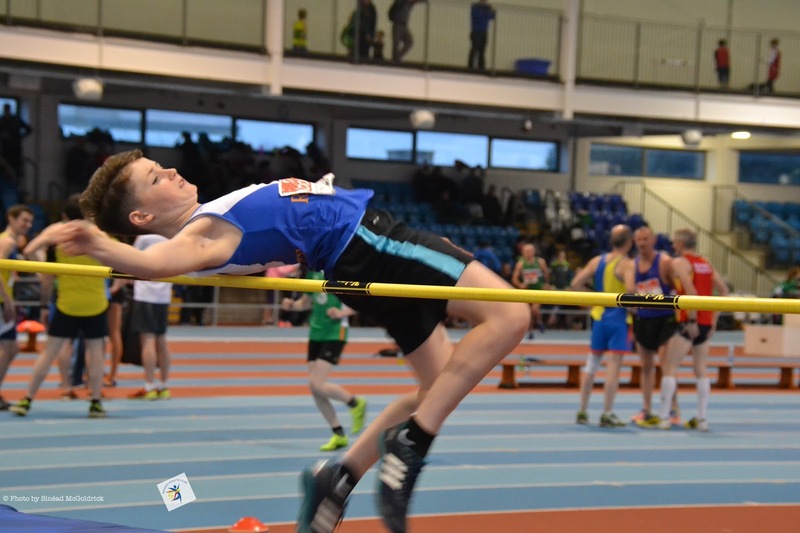 Fionn Drummond led the charge with a fine silver in the boys u 14 high jump - our first medal of the weekend. Jed Walsh made his competitive debut for the club with another silver in the u 15 60m dash and looks like proving to be a "great find" for the club. 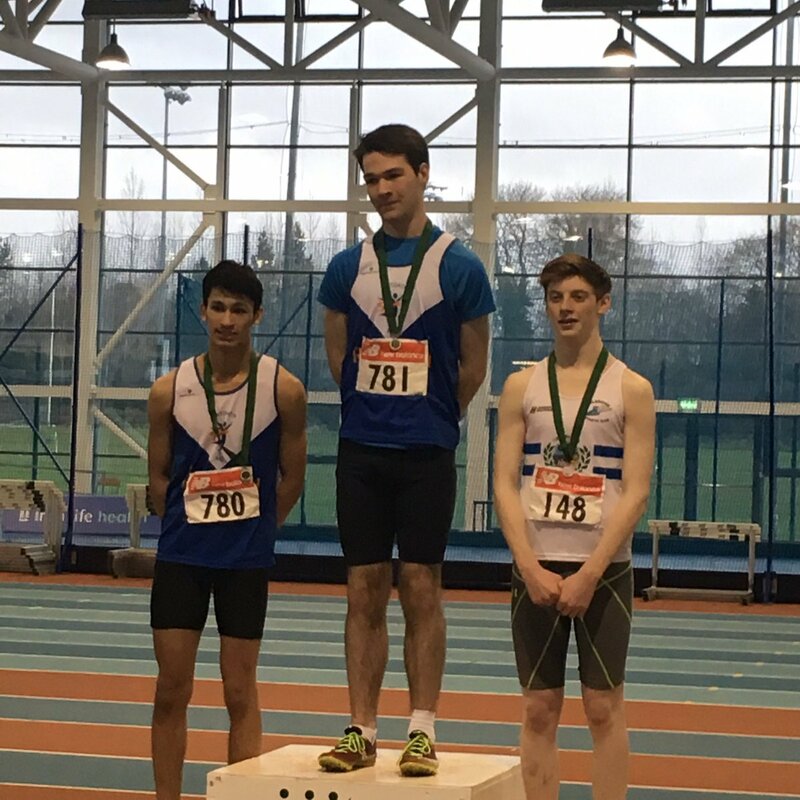 Matthew Buckley was the favourite for the 16 60m and he duly delivered, taking the gold in 7.48 sec with Rafa McCaffrey a close 4th in 7.69 sec. 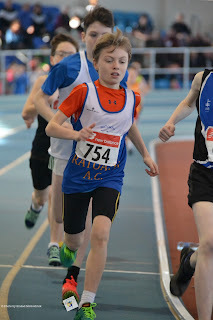 Matthew Buckley completed a great double when taking the u 16 200m in 24.18 sec with Rafa McCaffrey a close second. 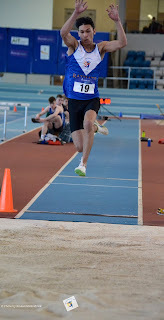 Rafa turned his silver in the 200m to gold with a winning jump in the boys u 16 long jump. 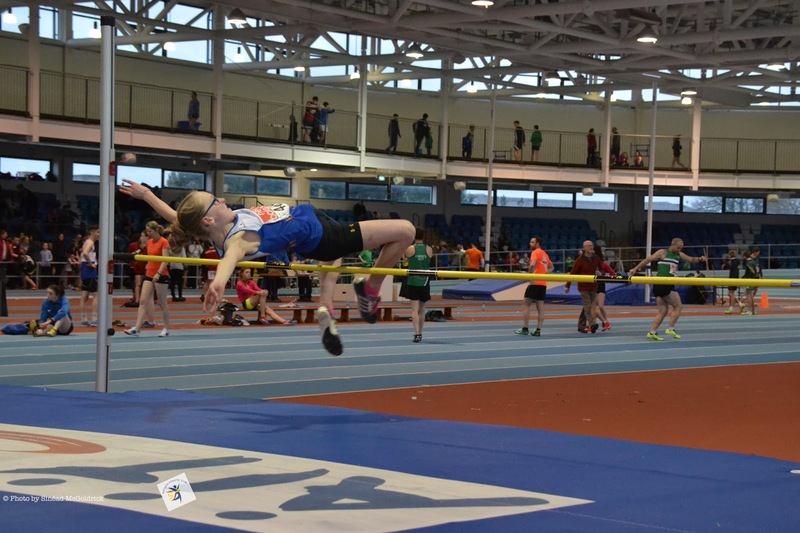 Caoimhe Fitzsimons also captured the gold in the girls u 12 long jump with a wonderful 4.27m. 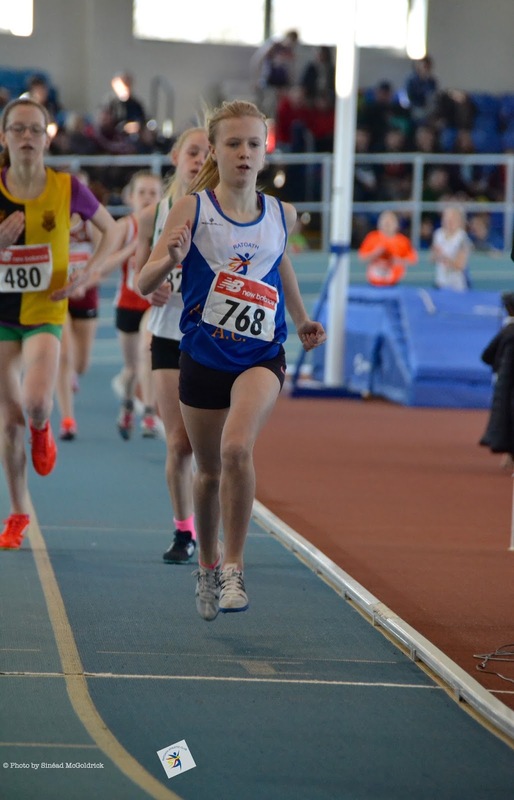 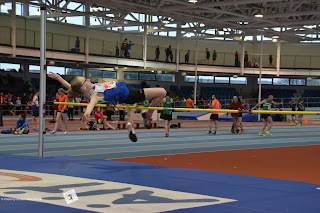 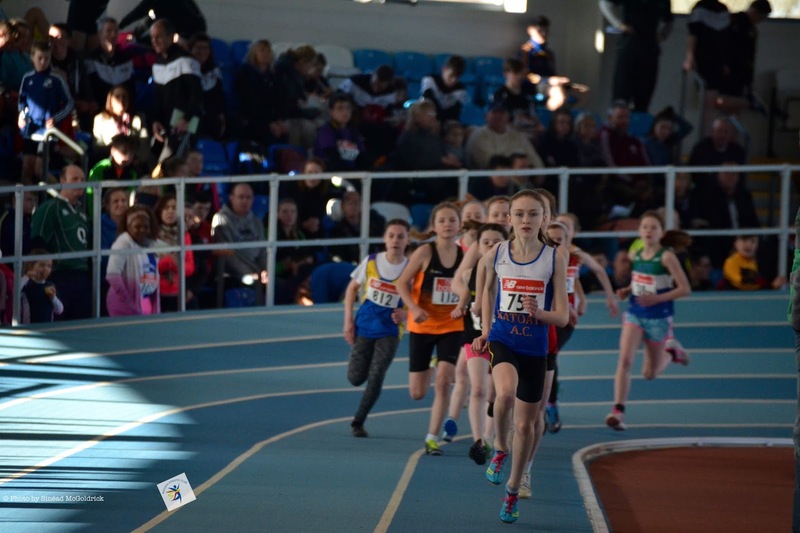 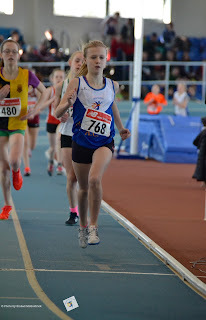 while Niamh Murray was another to excel - taking bronze in the u 13 long jump as well as 4th in the shot putt, Cara O Sullivan produced a silver medal winning high jump in the u 12 's and Laura Kelly maintained her status as the queen of the high jump with a majestic new indoor PB of 1.42m to take another Leinster title in the u 13 (Siobheal will need to keep on her toes with Laura around), Naoise McKenna was another to record a new indoor PB when clocking 2 min 6.95 in a very competitive u 19 800m.